Amazing grace! It really is amazing. The word grace can mean many things in our English language, definitions that can distract us from the core of its content rich meaning. Even to Christ followers, grace has become as common as communion cups. We’ve consigned it the simplistic explanation that it is a gift from God. It’s so much more than that. It’s an undeserved gift. I don’t know about you, but that blows my mind. Why would the God of the Universe want to give someone like me something I don’t deserve? In order to wrap our brains around that and try to teach children and new Christians about this wondrous thing, we’ve invented simplified acronyms about this Amazing Grace. Very true and very concise. It’s what I call a nutshell definition. It’s so well coined that I can rattle it off without stopping to think about what it really means. Max Lucado says in his book, Grace: More Than We Deserve, Greater than We Imagine observes that we’ve come to accept a wimpy kind of grace, Ole’ Max nailed that “greater than we imagine” part. Grace is more than a one-time gift even though that in itself would have been awesome and undeserved. Instead, Jesus’ sacrifice on the cross is only the beginning of grace. An important beginning. A crucial beginning. God, in His love for us, chose to make Amazing Grace much more. A gift that keeps on giving. Something that becomes richer, fuller, and more beautiful the further we go in our Christian walk. Christ’s death and resurrection blasted open the door to a Heaven-sized bundle of blessings that any allegiance to an outward law code could attain. Yes, acceptance of God’s gift of salvation will bring you to eternity with your Lord. But grace has a lot of work to do within you before you reach Heaven’s gates. Here’s six things that grace can do for you. Are you overloaded with guilt from past sin? Afraid you can’t forget? Afraid others won’t forget. According to Jesus, it’s over. He has removed your sin from you as far as the east is from the west, and that’s an awfully long way. 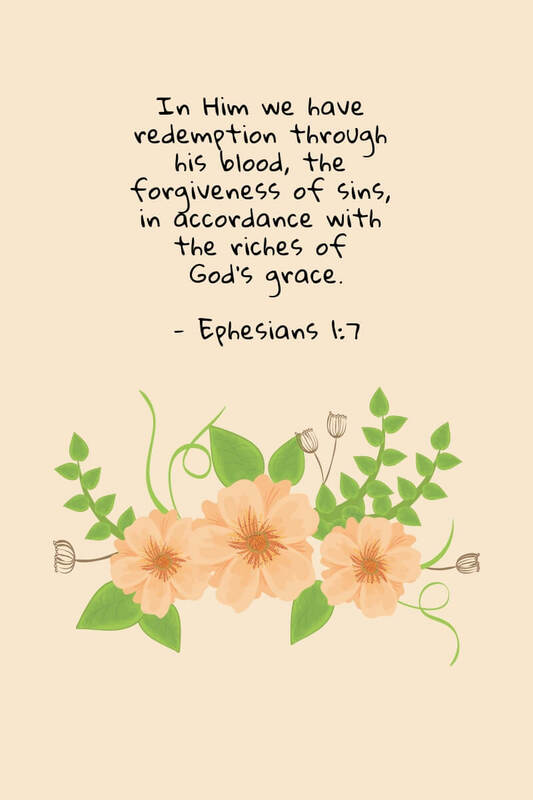 Ephesians 1:7 says, “In him we have redemption through his blood, the forgiveness of sins, in accordance with the riches of God’s grace.” God’s forgiveness greets you every morning. It’s the gift that keeps on giving, day after day. Jesus could have just died on the cross, rose from the dead, prepared heaven, and called it good. Instead, in his lavish love and mercy for us, He gives us so much every day that, let’s be honest, we do not deserve. Not one bit. We’re sinners, remember? Every one of us. We’ve rejected Him. We’ve tried to take charge of our own lives. Even after agreeing to follow Him, we’re prone to dally in the ditches and get sidetracked by rabbit trails. Our actions blare that we don’t trust God enough to get us through this thing called life. We whine and complain about the silliest of things, things that would rival the Israelites’ complaints in the desert. 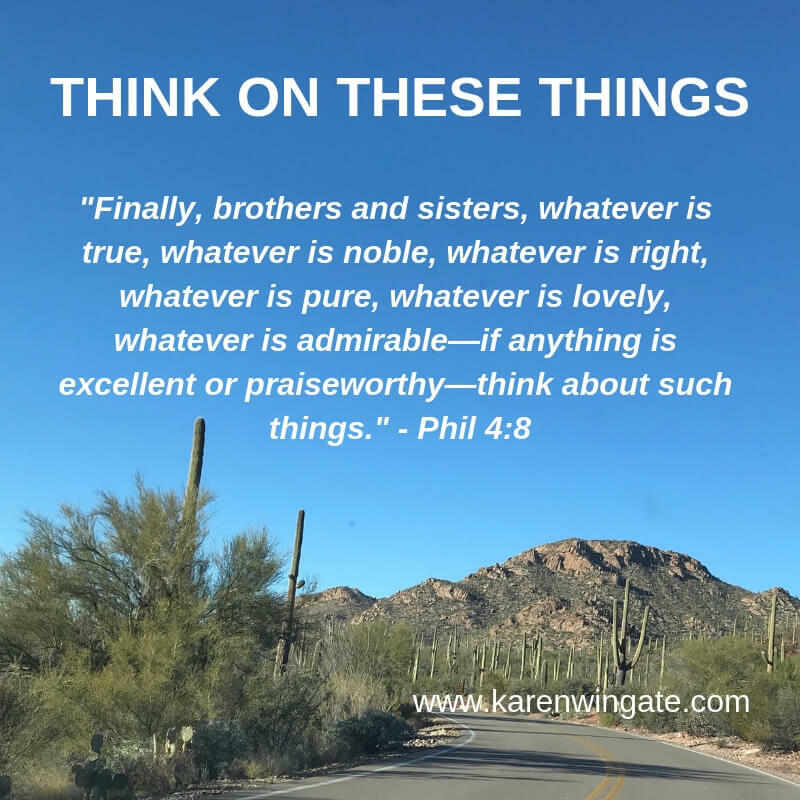 Those three are easy and what we commonly think of when we hear the word grace. God doesn’t stop there. You aren’t just forgiven so you can go back and make the same mistakes again. Nor does God leave you to “try harder” but fall on your face in failure. Throughout the rest of your life, God works with you to change you into His likeness. He gives you the resources to make your life better. The best gift of all is a new heart, a clean heart. Lucado calls this a spiritual heart transplant. I call it WOW! Ezekiel 11:19 says, “I will give them an undivided heart and put a new spirit in them; I will remove from them their heart of stone and give them a heart of flesh.” Do you know someone whose life radically turned around when they became a Christian? Point proven. That’s what grace does. Grace gives you a brand-new set of motivations. You no longer do what is right, good, and beneficial because you have to. You do it because you want to. 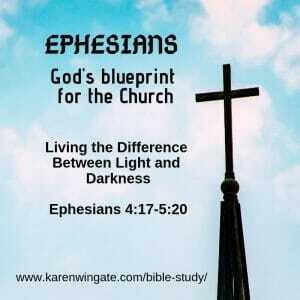 God’s grace fuels you to move forward toward right living. This is the one that I have a tough time wrapping my brain around. It’s amazing that God blesses me, wants to walk with me, and is crazy in love with me. Beyond that, He chooses to live inside me through His Spirit, to incorporate His spiritual DNA into mine. Some believe this indwelling of the Holy Spirit gives them the power and freedom to worship God at a new level. Forgive me, but that is oh so pea-sized limiting. God’s partnership with us is so much more. 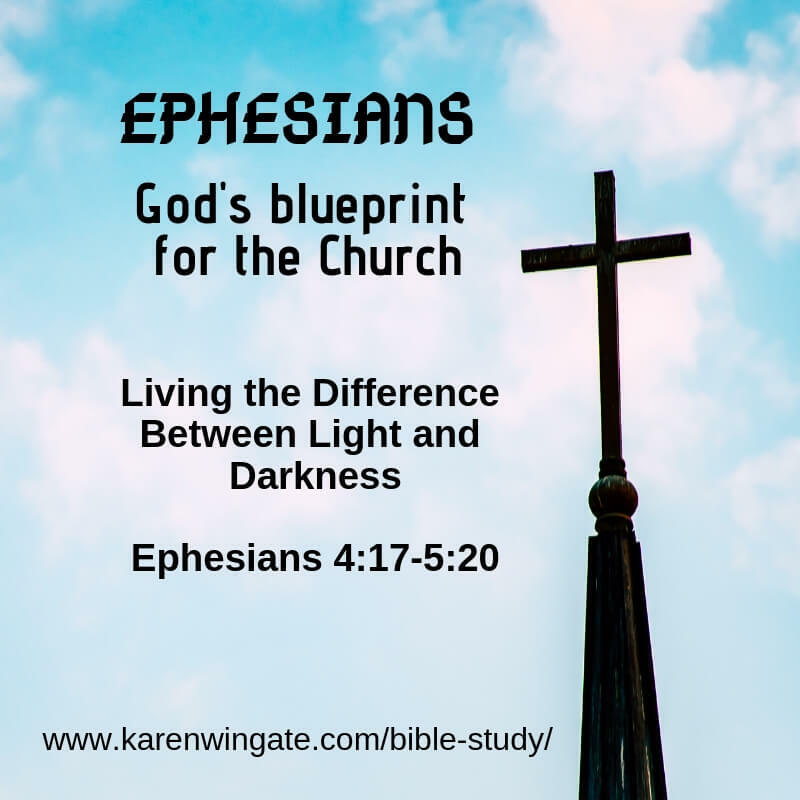 Why did God choose to do it that way? His glory shines through the sin-cracks of my life in such a way that others see Him in me and desire to draw closer to His grace. Anything I do for Him and because of Him is through Him, not through my own limited effort. How do we live by grace and not by merit? Ah ha! Here it is. We live by grace because grace lives inside us. We’re given a power that transforms our lives to represent His righteousness. We’re also empowered through grace-gifts unique to each believer that enables us to reach God-sized dreams. God calls us to do an impossible task. He asks us to tell the gospel message to all nations using gifts He will give us. No one is packaged quite like you. You have a highly specialized task that only you can do and you’ve been given a designer toolbox with your name on it. Check out Romans 12:6-8. Don’t stress too much on which of twelve or fourteen spiritual gifts is yours. The point of these verse is that you use what God has given you in the best way you can for His glory. When you give in to God’s gift for you, the best parade in all the world will march right down the street of your life blaring God’s grace and glory to anyone who is watching and listening. Won’t that be amazing? How has God’s grace benefited you today? Share your thoughts in the comments section below. What would the world do without volunteers? Two tragedies took center stage in the news cycle over this past weekend. In Indonesia, a 6.9 on the Richter scale earthquake rocked the island of Lombok, leaving at least 347 dead, 1,447 injured, and 165,000 displaced. 80% of all buildings on Lombok were destroyed, according to CNN. The state of California now boasts seventeen large fires, one of which is the largest in state history and covers almost 300,000 acres. According to Forbes, over 14,000 firefighters are battling the blazes and the National Guard has sent in over 2,300 people to help contain the fire. Who is helping the survivors? I found an interesting omission in these news story. They made no mention of anyone stepping up to help with humanitarian efforts. No, I don’t think the journalists made a mistake. It wasn’t that no one showed up to help. Volunteers are so much a part of the warp and woof of humanitarian aid that their presence was probably, simply, overlooked. We assume the Red Cross, faith-based organizations, and untold numbers of individuals who just want to help will show up. The facts about the fires and earthquake are sobering, but the statistics could be so much worse. The numbers are what they are because countless people stop their routines to help in the relief, rescue, and recovery efforts. This battery of unnamed workers won’t get paid for what they do, and the value of their donations of time and resources isn’t calculated into government disaster relief budgets. They are simply called volunteers and no disaster cleanup could get along without them. The Learner’s Dictionary describes volunteers as people who do work without getting paid to do it. Some volunteers offer to help organized efforts; others lay aside their time and just do it – whether it’s pulling a neighbor out of a pile of rubble, lending a hand to homeowners needing to evacuate their home in the path of a forest fire, or rescuing a dog from a flood bloated river. They expect no recompense or applause. They walk away, satisfied that they were there to help and comforted that they could comfort. 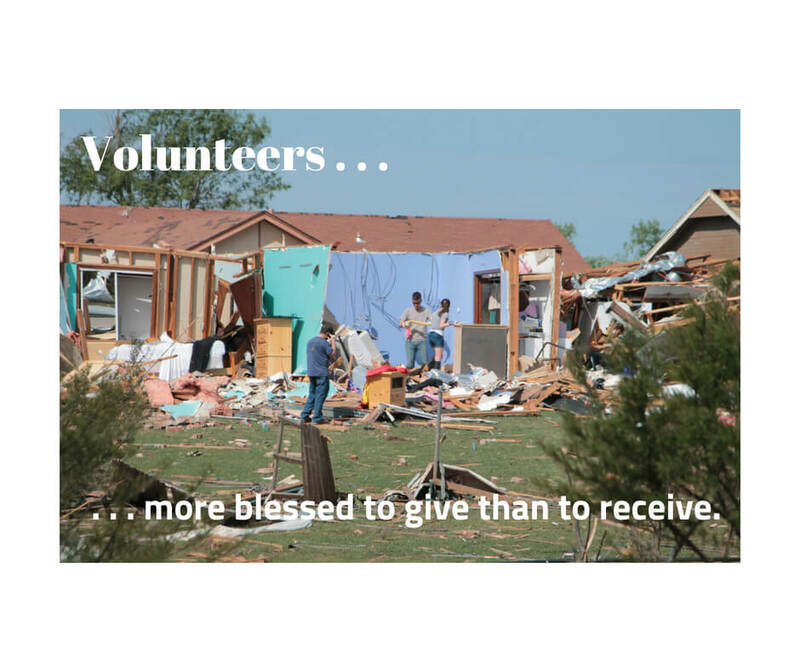 The lingering impact from disasters would be so much worse without volunteers. I don’t know how many of the 14,000 firefighters in California are part of volunteer fire rescue teams. However, if every one of those men and women were paid the salary they deserve for the work they are doing, California coffers would soon empty, making the state more bankrupt than it already is. That number of 14,000 just represents firefighters. It doesn’t include support personnel: those who bring in water for the parched workers, prepare meals, work with the Red Cross to open shelters for displaced families, or assist with evacuation efforts. Without the volunteers, the fires could be a lot more widespread and disastrous than they already are. Communities could not return to their former beauty and function. Those sifting through the rubble of their former lives would lose hope. Volunteers help in the everyday as well. Think of what community life would be like without Sunday School teachers, volunteer fire departments, Girl Scout leaders, and food pantry helpers. Then there are those who babysit while a mom undergoes cancer treatments, drive an elderly person to church, take a meal to someone recovering from surgery, or sweep the snow off a neighbor’s walk. All jobs that could and deserve to garner an income. But those sweet volunteers would never accept it. After all, they aren’t doing it for the money. No flowers would bloom along Main Street in our little town. Churches, schools, and hospitals would barely subsist, unable to offer a broad spectrum of services. Sports teams would be non-existent. The availability of blood for transfusions would be miniscule because those who give blood would expect payment. How can you put a price tag on human blood? Let’s face it – communities can’t function without volunteers. The world would be a darker, sadder, and broken place without them. If there’s nothing in it for them, why do they do it? There are probably as many reasons folks volunteer as the number of volunteers themselves. Others have given to them. Payment for their services is irrelevant. The vibrancy of their communities is important to them. People’s needs are more important than their comfort. They want to be the hands and feet of Jesus, demonstrating the mercy He has shown to them. For some, the reason is obvious and simple – others need help. The bigger the need, the bigger the heart, the greater the sacrifice, and the more satisfaction the giver receives. As Jesus said, it really is more blessed to give than to receive. In a world that fusses over minimum wages and salary package perks, let’s not forget the people who give without receiving, who truly do discover Jesus’ words to be true. Volunteers discover the truth and beauty of Jesus’ words – it is more blessed to give than to receive. So, as you continue to hear news reports about the Indonesia earthquake or California fires, give a moment of your time to thank God for the volunteers who rush to the scene to stopgap the devastation, hold the hand of the dying, comfort the living, and restore the community to what it was. Say a prayer that God will keep them safe as they sacrifice their time, skills, resources, health, and possibly their lives. Use that moment of prayer to look around your community, church, school, or health services and ask yourself how you can give without receiving. When you step forward, you will receive – not in money, but in the satisfaction that you are reflecting the love and mercy of Jesus. You become a microcosm of God’s grace – and that’s the best payment of all. Who are the volunteers in your corner of the world? Send them a thank you note for their efforts. Who needs your help today? Get involved!